We always treat patients with the kindness and the respect they deserve. Our modern practice features CEREC same-day restorations, panoramic X-rays, and more. We use state-of-the-art techniques to help you achieve a healthier, happier smile. Dr. Thomas’ guiding principle is a simple one – what’s good for the patient is good for the practice. 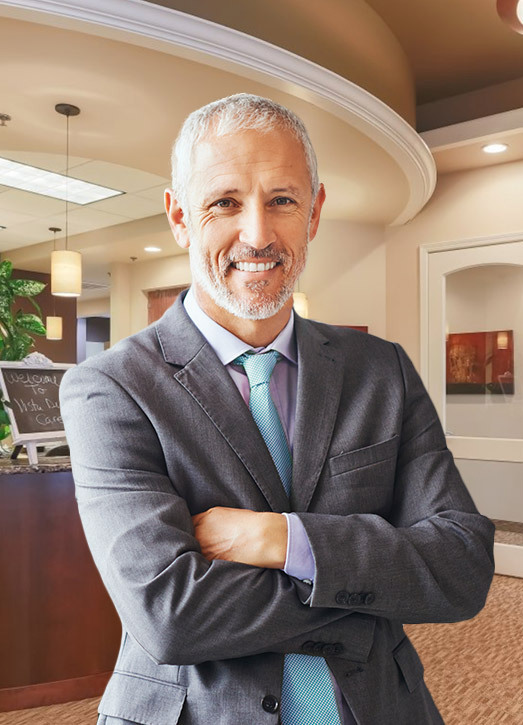 That’s why he and the rest of his staff work so hard to give you the friendly and personalized dental experience you deserve, coupled with plenty of modern technology that improves convenience, comfort, and accuracy. Whether you’re ready for a simple checkup or you’re desperately in need of restorative care, Dr. Thomas looks forward to helping you smile with confidence once more. If you’re in need of treatment for a decayed or damaged tooth, having to wait for a new dental crown to be created over the course of multiple appointments can feel like an eternity. Thankfully, Vista Dental Care has managed to dramatically shorten this waiting period without sacrificing any of the quality! 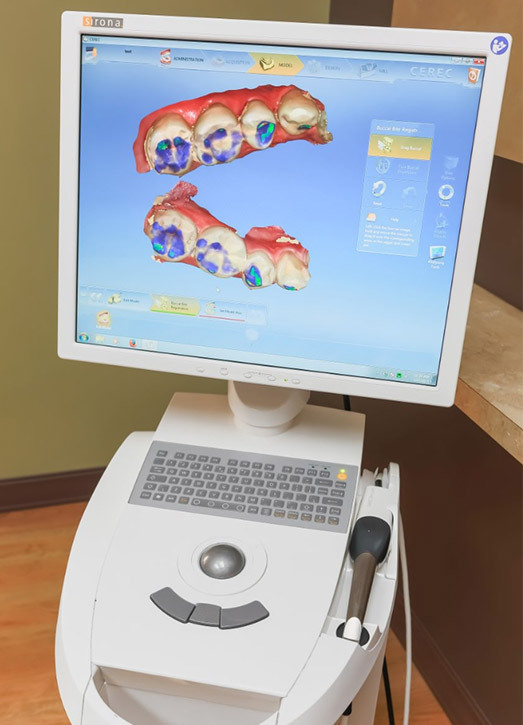 With CEREC technology, our team can capture photos, create precise designs, mill your new crown, and place it within your smile over the course of a single appointment. Our practice offers a wide range of comprehensive dental services that fit the dental needs of children and adults alike, including in-depth checkups and cleanings. Every six months on average, we strongly recommend that you pay our Sparks location a visit so that Dr. Thomas and our team members can inspect your smile and treat any issues early on in their development. By focusing on preventive dentistry first, we hope to help you maintain great oral health for many years to come! When your smile is sporting noticeable gaps where teeth once were, it’s time to pursue a quality reconstructive solution – and dental implants are truly second to none! Because implants replicate your tooth’s entire natural structure, they provide greater health benefits and longer-lasting durability than their traditional counterparts. 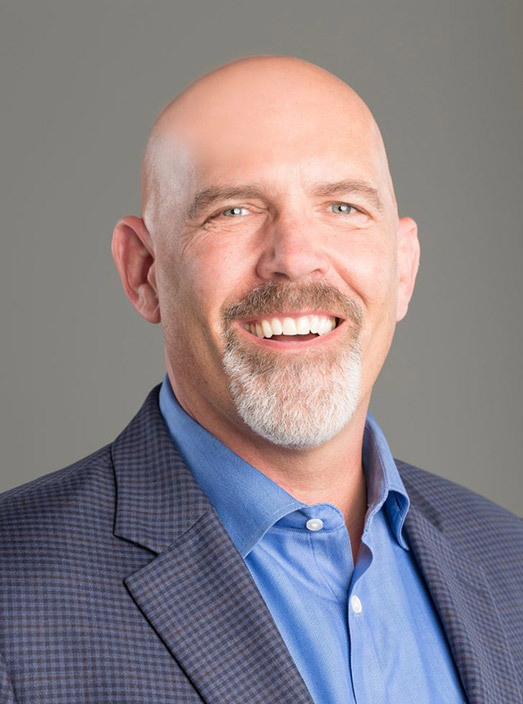 Better yet, Dr. Thomas has the advanced training needed to both surgically place and restore your implants right here in his Sparks, NV office for maximum patient convenience. Many older patients wish they could correct those pesky misaligned teeth and get rid of the noticeable gaps in their smile, but the thought of wearing juvenile metal braces is just too much of a barrier. Not anymore – at Vista Dental Care, Dr. Thomas is happy to offer orthodontic options that prioritize your natural, confident appearance. Invisalign and ClearCorrect use clear, custom-made aligners that blend in with your teeth while worn, allowing you to enjoy your life to the fullest while you’re achieving the look of your dreams. Are you struggling with constant daytime exhaustion and chronic snoring? Have you been diagnosed with sleep apnea but you’re not sure what to do next to treat the problem? Give Vista Dental Care a call today. 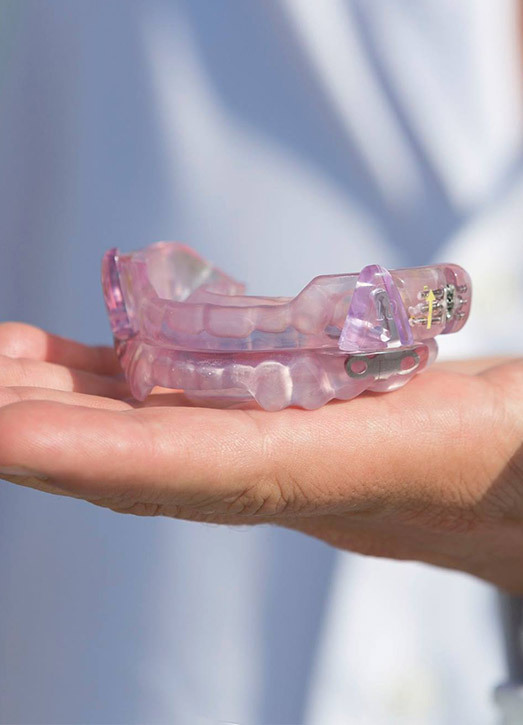 Instead of tolerating a noisy and bulky CPAP machine, many patients can achieve the relief they need with a custom-made oral appliance from our office. All you have to do is wear it throughout the night – you’ll sleep better and wake up feeling ready for the day ahead at last! Your teeth aren’t the only part of your smile that’s at risk when it comes to infection – in fact, gum disease is one of the most common health problems in the world! Thankfully, Dr. Thomas and the rest of our staff are always on alert for tell-tale symptoms of this condition, and if we discover anything troubling, we can provide modern and effective periodontal therapy right away to control the infection and protect your ongoing oral health. Sore and red gum tissue? Bleeding when brushing and flossing? Don’t hesitate to contact us right away. Our team is happy to file claims on your behalf for several PPO insurances in order to maximize the benefits available to you. No dental insurance? Not a problem – it’s easy to arrange an affordable and low-interest payment plan through Lending Club®.